Polystyrene is used everywhere in packaging. From coffee cups and egg cartons to packing white goods for shipping, it’s one of the most effective and safest packaging materials out there. Because polystyrene is made up of approximately 98% air it makes a superb material for insulation and that’s why it’s used extensively in home insulation. It’s also why steaming hot coffee or tea doesn’t burn your fingers when it’s poured into a polystyrene cup! Another great feature of polystyrene is that it is so light. This means that although it gives great cushioning, polystyrene packaging doesn’t add a great deal of weight so it makes it a very flexible packaging material. On the down side, polystyrene packaging can be awkward to recycle. Its lightness makes it susceptible to winds and left over polystyrene packaging can often be blown away from recycling skips and containers. Its bulkiness also makes it difficult and expensive to transport so recycling polystyrene packaging on a large industrial scale could potentially be prohibitive. 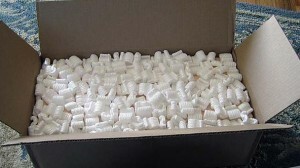 So, how can you go about recycling polystyrene packaging in an efficient and cost effective way? We break the wasted material into beads and mix it with new beads before moulding it into blocks. We compact granulated polystyrene into blocks and then send it on to a recycling depot. Polystyrene can be recycled into items such as picture frames, plants pots, garden furniture and much more which means that none of the material goes to waste. 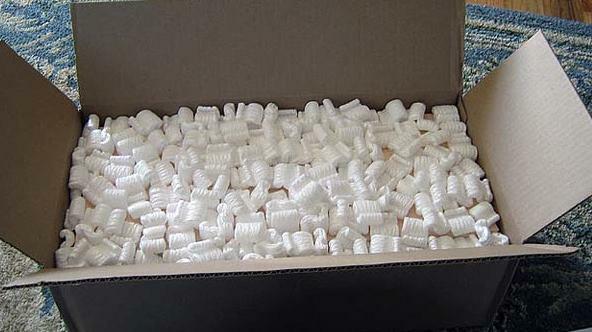 polystyrene packaging ensures that we use our products in the most efficient way. To find out more about our range of polystyrene product and recycling methods then please do not hesitate to contact us. Polyethylene foam packaging is used in a variety of applications such as cervical collars, insoles, exercise mats, life jackets, carpet underlay, theater sets and props to name just a few. It has a broad use across many industries including health care, automotive, sports and leisure, marine, building footwear and, of course, packaging. Polyethylene foam is made in a mould and then formed into a sheet. The length, width and thickness of the sheet depends on the density of the foam and it can be cut, shaped and profiled depending on the job it is being used for. If you have vulnerable items that need to be transported then polyethylene foam packaging is the ideal choice. Its ability to take knocks, bumps, and scuffs without damaging the goods inside means that products seldom get damaged in transit. This ultimately saves time, money and leads to better customer service for your customers. Polyethylene foam packaging is also completely recyclable, making it the ‘green’ choice when it comes to packaging. With so many benefits it’s little wonder that polyethylene foam packaging is such a widely used materials across so many industries. Available in a variety of colors, we can tailor the packaging specific to your needs so please contact Vertapak and speak to one of our team to discuss your requirements.